People often will rile up a group of people collectively with an easy-to-understand concept. Something that people can bring the idea across with a simple single sentence. Nothing too nuanced. Nothing that requires a long time to understand or to get across. For in order to create the mob mentality, it takes a simplistic vision to fan the flames. I speak of which specifically, the kid wearing the MAGA hat. We have seen it, and I've even written an article about that myself: A Libertarian Understanding of The MAGA Hat Smug Kid Face. People were so quick to dismiss a child. To look at a single child and think of that as: "This is the white supremacy movement." It required the mob mentality to burn the witches during the Salem witch trials. It took a mob mentality to easily point a finger and collectively say: "It's the Jew's fault" in Nazi Germany. It was the mob mentality that looked to the farmers of 1920's Soviet Russia and said: "They're stealing all the food." It's them. Not us. 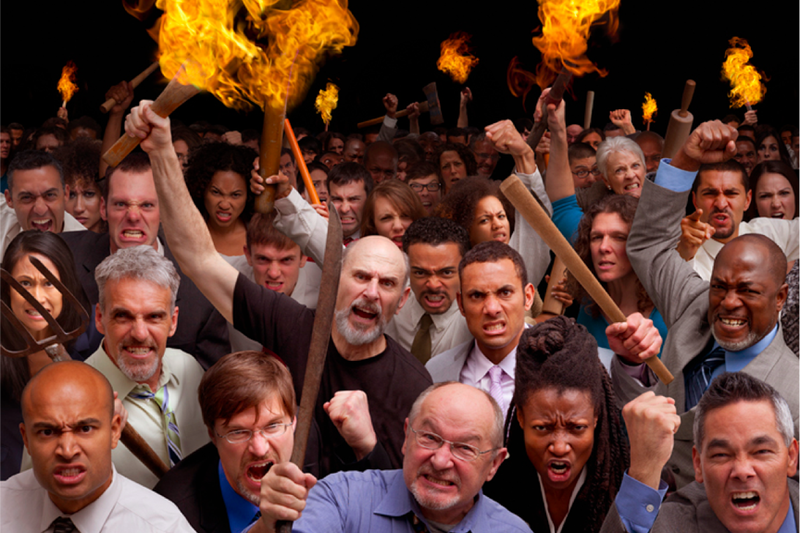 The mob has spoken, and they are hungry for blood. This, obviously, is an extremely dangerous concept. Something that can cause reasonable people, when taken into individual perspective, suddenly personifying a deluded psychopath because of idealistic notions of the mob mentality, the mentality of a collective understanding. I ask each individual: "Resist the mob mentality." The mob mentality is the "Non-Player Character". The NPC. The one who cannot think for themselves, and with the quick blurb and lack of understanding, comes into the notion that the mob mentality is genuine. Maybe you might be in a mob mentality. People who believe certain things against others. The mob against the individual. Or maybe you think of it in terms of: "I am creating justice." Maybe you are making justice. But do make sure that you avoid this mob mentality. At the end of the day, we are all individuals. We all walk this Earth, breath the same air, walk the same ground. Even rulers require the need to use the bathroom. Merely humans written to personify as avatars of ideology. But in the end they are all just individuals just as yourself who is reading this. 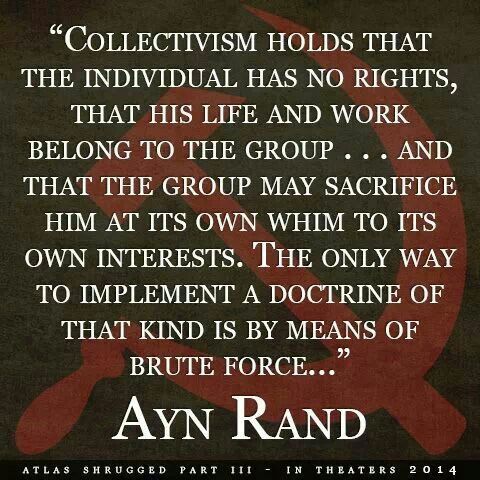 Additionally, if you liked this; I wrote an article on how Collectivism is Evil. This was an article that got people very mad, and I write one article a day Mon-Fri. Every time, I suggest writing your own articles. This is a website that condones the freedom of speech, given that people have the freedom to write what they want free from persecution. You do not have to be silenced on social media. You can come here and it's safe.